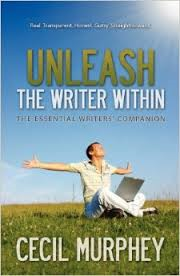 Unleash The Writer Within by Cecil Murphy is a relaxed and encouraging read. It’s an easy commitment that you’ll be able to finish in a few days. The chapter titles make for a quick reference guide, directing you to different areas of your writing that you may need to work on. I could see this book becoming a handy tool that a writer might revisit as needed. Each chapter ends with a motivational saying that might seem trite at first but are the very words often bandied about many writing websites, Facebook, and Twitter. They prove to be little jewels of wisdom, perfect for lifting yourself out of the writing doldrums. When you need to step away from writing for a few days due to writer’s block, reading this book would be a good use of your time to help free your inner muse.